St:Peter's Jacobite Syrian Simhasana Church,Thiruvananthapuram. On this home page we introduce the sole parish of Malankara Jacobite Syrian Church in the capital city of Kerala,Thiruvananthapuram. The St.Peters church, the only Syrian Orthodox Church in the state capital is located in the heart of the city right behind the administrative block of the state. 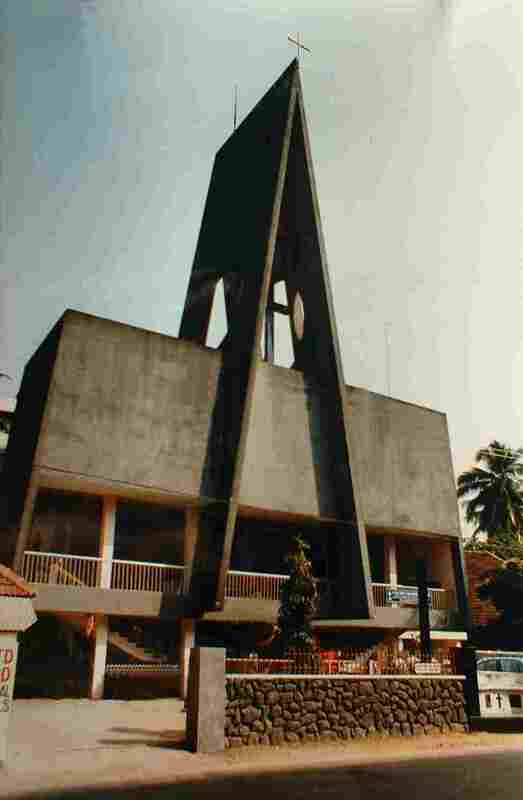 The St.Peters church stands with a distinct grace and pride among the other structures in the particular spot. The church was built to keep up the Syrian faith in the early seventies when the conflict between the two factions of the Jacobite Church worsened. Unable to accept a religious head contradictory to the Syrian tradition and faith, this church was constructed with great pain and other constraints. Over the years the St.Peters church has acquired a very high status in the capital as well as among the other churches in the state.Now the church has been privileged with a very honorable status of SIMHASANA church given by the Patriarch.